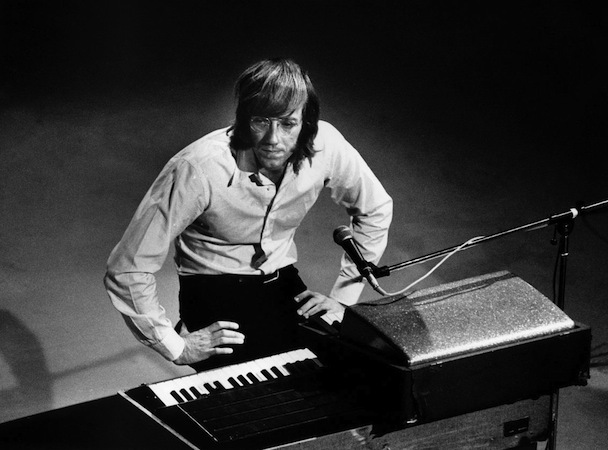 Ray Manzarek explaining how the introduction for “Light My Fire” came to life. The background music is Invention No. 8, BWV 779 by Johann Sebastian Bach, which served as an inspiration for Manzarek. The song’s distinctive organ intro has been characterized as “one of the most recognizable sounds in the history of rock music”. In Ray’s words: “It just came out of, you know, fifteen or twenty years of music practice”. This entry was posted in Sounds and tagged Bach, Doors, intro, Inventions, Light My Fire, music, organ, Ray, Ray Manzarek on May 22, 2013 by The Muser. J S Bach is universal, good musics somehow coincide.